3 for 2 on all Level 3 eUnits! 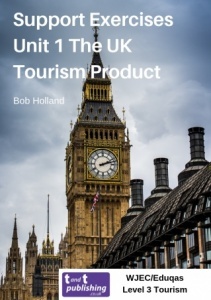 This digital resource consists of 12 student exercises (with guidance on marking) specifically designed to support students preparing for Unit 1 of the WJEC/Eduqas Level 3 Tourism specification – The UK Tourism Product. It will also be useful for other Level 3 qualifications which include UK tourism as a topic. 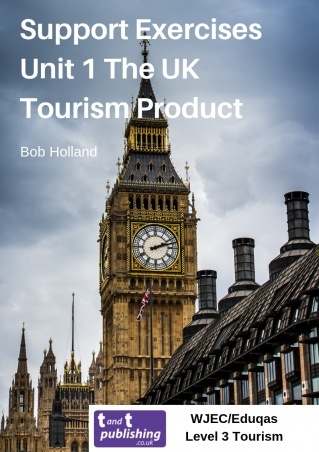 Each exercise in this resource consists of a real scenario, taken from a report or recently published data relating to an aspect of tourism in the United Kingdom. This is followed by a series of questions designed to help students’ understanding of the content of the specification. For each exercise, a detailed description of what is expected to be included in students’ responses is provided. This is followed by outline guidance relating to the marks which might be allocated to each question. The questions can be used as home-learning exercises, classroom tests or a combination of questions can be used as a ‘mock’ examination. What can I do with each eBook version? 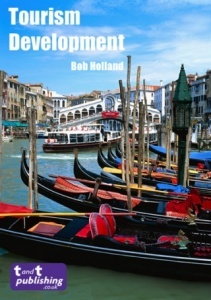 eBook for personal use by single user - this PDF can be read on a PC, tablet or mobile by a single purchaser. Printing is allowed, but uploading to a VLE network is strictly prohibited. eBook to upload to a VLE network (12-month licence) - this PDF can be uploaded to a secure, closed VLE network and accessed by staff and students at the purchasing institution for one year from the date of purchase. Printing is allowed. eBook to upload to a VLE network (24-month licence) - this PDF can be uploaded to a secure, closed VLE network and accessed by staff and students at the purchasing institution for two years from the date of purchase. Printing is allowed. Copyright Notice: Printing of materials in this digital resource is permitted for the purchasing individual or institution only. Our digital resources and eBooks have an embedded code to detect copyright infringements, including unauthorised sharing and uploading. 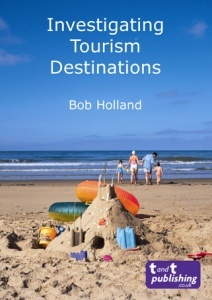 Bob Holland has been involved in the field of tourism education in the UK for more than 20 years, through working with a range of organisations to develop resources and provide professional development opportunities for teachers. He has worked as a Chief Examiner and Principal Moderator, and has been closely involved with the development of a number of Travel & Tourism specifications. 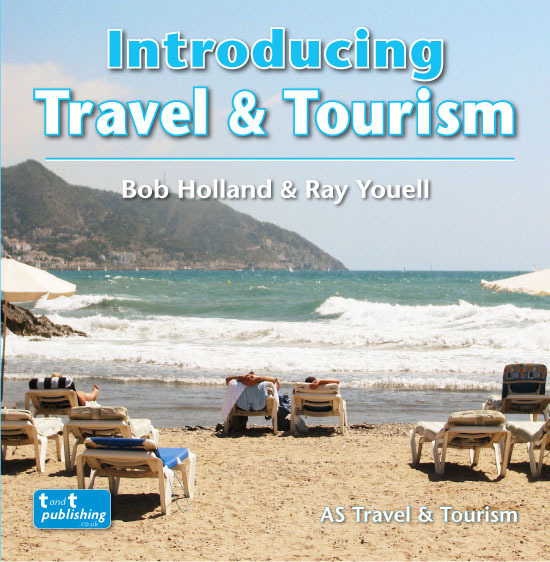 © 2005 - 2019 Travel and Tourism Publishing Ltd.